So I discovered this great project on thingiverse. I initially downloaded the STL files from there and discovered when the first tile almost completed printing that there was a V2. Doesn't matter, we need an test tile anyway. Currently I have 2 tiles. 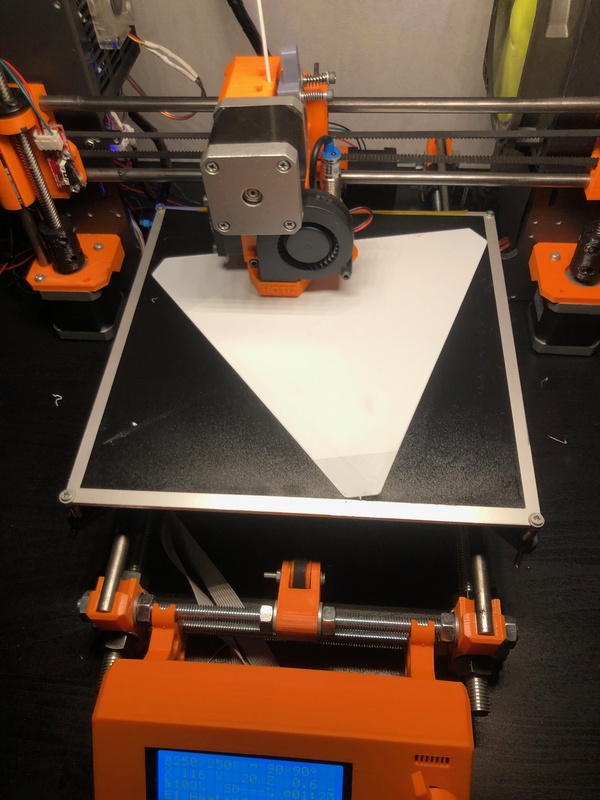 It just fits on my Prusa MK2 clone with an 200*200mm print bed by rotating them with 310 degrees on the Z axis in slic3r Prusa edition. 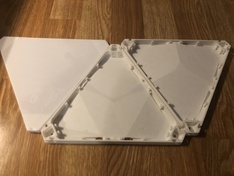 The tiles are printed with REAL PLA and the top is printed with REAL PETG. 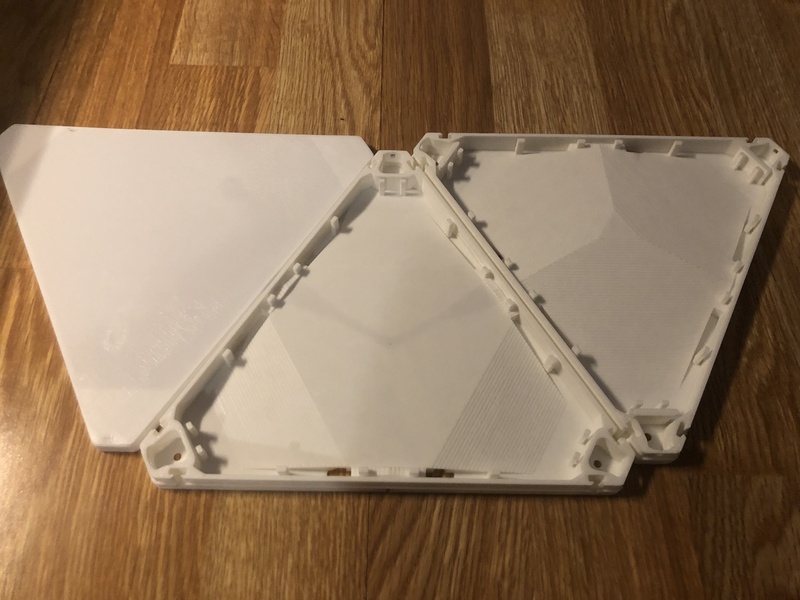 I'm not sure I keep printing with PETG, as its really difficult to get it stick to the heatbed. Currently I'm waiting on my WS2812b led's which I have ordered one month ago on Aliexpress. When printing with PETg, I've found hairspray works best for bed adhesion. Works just fine for PLA too. Spray some on a paper towel and apply a light coating to the print bed. You also don't need to apply it for every print. I typically wait until things start coming off the bed. I'm always using hairspray. but I need to reapply it every print. 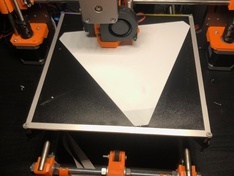 I'm printing om some cheap PEI sheet. I'm not sure if its real PEI. Anyway, PETG is not always sticking. If the first layer is too complex it will go wrong for sure. But maybe the PETG from REAL is not the best, I don't have other brands to test.